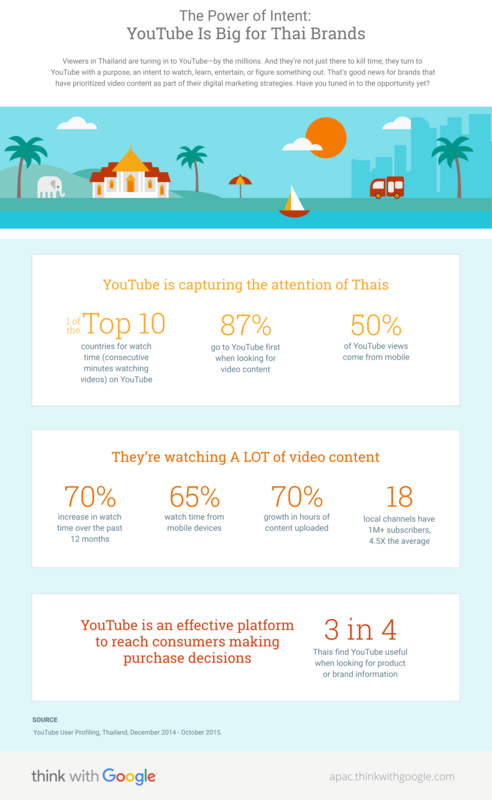 Viewers in Thailand are tuning in to YouTube—by the millions. And they’re not just there to kill time; they turn to YouTube with a purpose. That’s good news for brands that have prioritized video content as part of their digital marketing strategies. Have you tuned in to the opportunity yet?